Taking refuge in the Buddha, the dharma and the sangha is something more than a ritual, wrote Chögyam Trungpa Rinpoche. By taking refuge, we are committing ourselves to freedom. In the Buddhist tradition, the purpose of taking refuge is to awaken from confusion and associate oneself with wakefulness. Taking refuge is a matter of commitment and acceptance and, at the same time, of openness and freedom. By taking the refuge vow we commit ourselves to freedom. There is a general tendency to be involved in all kinds of fascinations and delusions, and nothing very much ever takes root in one’s basic being. Everything in one’s life experience, concerning spirituality or anything else, is purely a matter of shopping. Our lives consist of problems of pain, problems of pleasure, problems of points of view—problems about all kinds of alternatives—which make our existence complicated. We have allegiance to “that” and allegiance to “this.” There are hundreds and millions of choices involved in our lives-particularly in regard to our sense of discipline, our ethics, and our spiritual path. People are very confused in this chaotic world about what is really the right thing to do. There are all kinds of rationales, taken from all kinds of traditions and philosophies. We may try to combine all of them together; sometimes they conflict, sometimes they work together harmoniously. But we are constantly shopping, and that is actually the basic problem. It is not so much that there is something wrong with the traditions that exist around us; the difficulty is more our own personal conflict arising from wanting to have and to be the best. When we take refuge we give up some sense of seeing ourselves as the good citizen or as the hero of a success story. We might have to give up our past; we might have to give up our potential future. By taking this particular vow, we end our shopping in the spiritual supermarket. We decide to stick to a particular brand for the rest of our lives. We choose to stick to a particular staple diet and flourish on it. We take a definite vow to enter a discipline of choicelessness—which saves us a lot of money, a lot of energy, and lots and lots of superfluous thinking. When we take refuge we commit ourselves to the Buddhist path. This is not only a simple but also an extremely economical approach. Henceforth we will be on the particular path that was strategized, designed, and well thought-out twenty-five hundred years ago by the Buddha and the followers of his teaching. There is already a pattern and a tradition; there is already a discipline. We no longer have to run after that person or this person. We no longer have to compare our lifestyle with anybody else’s. Once we take this step, we have no alternatives; there is no longer the entertainment of indulging in so-called freedom. We take a definite vow to enter a discipline of choicelessness—which saves us a lot of money, a lot of energy, and lots and lots of superfluous thinking. Perhaps this approach may seem repressive, but it is really based on a sympathetic attitude toward our situation. To work on ourselves is really only possible when there are no side-tracks, no exits. Usually we tend to look for solutions from something new, something outside: a change in society or politics, a new diet, a new theory. Or else we are always finding new things to blame our problems on, such as relationships, society, what have you. Working on oneself, without such exits or sidetracks, is the Buddhist path. By taking refuge, in some sense we become homeless refugees. Taking refuge does not mean saying that we are helpless and then handing all our problems over to somebody or something else. There will be no refugee rations, nor all kinds of security and dedicated help. The point of becoming a refugee is to give up our attachment to basic security. We have to give up our sense of home ground, which is illusory anyway. We might have a sense of home ground as where we were born and the way we look, but we don’t actually have any home, fundamentally speaking. There is actually no solid basis of security in one’s life. And because we don’t have any home ground, we are lost souls, so to speak. Basically we are completely lost and confused and, in some sense, pathetic. Acknowledging that the only real working basis is oneself and that there is no way around that, one takes refuge in the Buddha as an example, in the dharma as the path, and in the sangha as companionship. So becoming a refugee is acknowledging that we are homeless and groundless, and it is acknowledging that there is really no need for home, or ground. Taking refuge is an expression of freedom, because as refugees we are no longer bounded by the need for security. We are suspended in a no-man’s land in which the only thing to do is to relate with the teachings and with ourselves. The refuge ceremony represents a final decision. Acknowledging that the only real working basis is oneself and that there is no way around that, one takes refuge in the Buddha as an example, in the dharma as the path, and in the sangha as companionship. Nevertheless, it is a total commitment to oneself. The ceremony cuts the line that connects the ship to the anchor; it marks the beginning of an odyssey of loneliness. Still, it also includes the inspiration of the preceptor and the lineage. The participation of the preceptor is a kind of guarantee that you will not be getting back into the question of security as such, that you will continue to acknowledge your aloneness and work on yourself without leaning on anyone. Finally you become a real person, standing on your own feet. At that point, everything starts with you. This particular journey is like that of the first settlers. We have come to no-man’s land and have not been provided with anything at all. Here we are, and we have to make everything with our own bare hands. We are, in our own way, pioneers: each is a historical person on his own journey. It is an individual pioneership of building spiritual ground. Everything has to be made and produced by us. Nobody is going to throw us little chocolate chips or console us with goodies. If we adopt a prefabricated religion that tells us exactly the best way to do everything, it is as though that religion provides a complete home with wall-to-wall carpeting. We get completely spoiled. We don’t have to put out any effort or energy, so our dedication and devotion have no fiber. We wind up complaining because we didn’t get the deluxe toilet tissue that we used to get. So at this point, rather than walking into a nicely prepared hotel or luxurious house, we are starting from the primitive level. We have to figure out how we are going to build our city and how we are going to relate with our comrades who are doing the same thing. We have to work with the sense of sacredness and richness and the magical aspect of our experience. And this has to be done on the level of our everyday existence, which is a personal level, an extremely personal level. There are no scapegoats. When you take refuge you become responsible to yourself as a follower of the dharma. You are isolating yourself from the rest of your world in the sense that the world is not going to help you any more; it is no longer regarded as a source of salvation. It is just a mirage, maya. It might mock you, play music for you, and dance for you, but nevertheless the path and the inspiration of the path are up to you. You have to do it. And the meaning of taking refuge is that you are going to do it. You commit yourself as a refugee to yourself, no longer thinking that some divine principle that exists in the holy law or holy scriptures is going to save you. It is very personal. You experience a sense of loneliness, aloneness—a sense that there is no savior, no help. But at the same time there is a sense of belonging: you belong to a tradition of loneliness where people work together. So taking refuge is a landmark of becoming a Buddhist, a nontheist. You no longer have to make sacrifices in somebody else’s name, trying to get yourself saved or to earn redemption. You no longer have to push yourself overboard so that you will be smiled at by that guy who watches us, the old man with the beard. As far as Buddhists are concerned, the sky is blue and the grass is green—in the summer, of course. 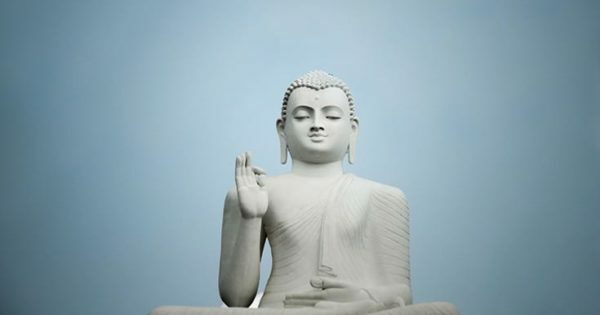 As far as Buddhists are concerned, human beings are very important and they have never been condemned—except by their own confusion, which is understandable. If nobody shows you a path, any kind of path, you’re going to be confused. That is not your fault. But now you are being shown the path and you are beginning to work with a particular teacher. And at this point nobody is confused. You are what you are, the teachings are what they are, and I am what I am—a preceptor to ordain you as Buddhist persons. Taking refuge in the Buddha as an example, taking refuge in the dharma as the path, and taking refuge in the sangha as companionship is very clean-cut, very definite, very precise, and very clear. People have done this for the past twenty-five hundred years of the Buddhist tradition. By taking refuge you receive that particular heritage into your own system; you join that particular wisdom that has existed for twenty-five hundred years without interruption and without corruption. It is very direct and very simple. You take refuge in the Buddha not as a savior—not with the feeling that you have found something to make you secure—but as an example, as someone you can emulate. He is an example of an ordinary human being who saw through the deceptions of life, both on the ordinary and spiritual levels. The Buddha found the awakened state of mind by relating with the situations that existed around him: the confusion, chaos and insanity. He was able to look at those situations very clearly and precisely. He disciplined himself by working on his own mind, which was the source of all the chaos and confusion. Instead of becoming an anarchist and blaming society, he worked on himself and he attained what is known as bodhi, or enlightenment. The final and ultimate breakthrough took place, and he was able to teach and work with sentient beings without any inhibition. 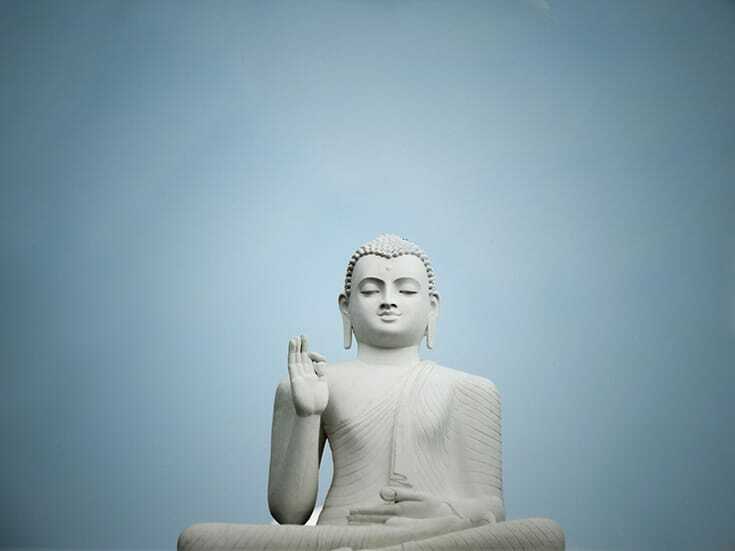 The example of the Buddha’s life is applicable because he started out in basically the same kind of life that we lead, with the same confusion. But he renounced that life in order to find the truth. He went through a lot of religious “trips.” He tried to work with the theistic world of the Hinduism of the time, and he realized there were a lot of problems with that. Then, instead of looking for an outside solution, he began working on himself. He began pulling up his own socks, so to speak, and he became a buddha. Until he did that, he was just a wishy-washy spiritual tripper. So taking refuge in the Buddha as an example is realizing that our case history is in fact completely comparable with his, and then deciding that we are going to follow his example and do what he did. This is a nontheistic tradition: the Buddha gave up relying on any kind of divine principle that would descend on him and solve his problems. So taking refuge in the Buddha in no way means regarding him as a god. 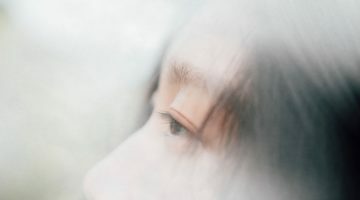 One of the big steps in the Buddha’s development was his realization that there is no reason we should believe in or expect anything greater than the basic inspiration that exists in us already. This is a nontheistic tradition: the Buddha gave up relying on any kind of divine principle that would descend on him and solve his problems. So taking refuge in the Buddha in no way means regarding him as a god. He was simply a person who practiced, worked, studied, and experienced things personally. With that in mind, taking refuge in the Buddha amounts to renouncing misconceptions about divine existence. Since we possess what is known as buddhanature, enlightened intelligence, we don’t have to borrow somebody else’s glory. We are not all that helpless. We have our own resources already. A hierarchy of divine principles is irrelevant. It is very much up to us. Our individuality has produced our own world. The whole situation is very personal. Then we take refuge in the teachings of the Buddha, the dharma. We take refuge in the dharma as path. In this way we find that everything in our life situation is a constant process of learning and discovery. We do not regard some things as secular and some things as sacred, but everything is regarded as truth—which is the definition of dharma. Dharma is also passionlessness, which in this case means not grasping, holding on, or trying to possess—it means non-aggression. Usually, the basic thread that runs through our experience is our desire to have a purely goal-oriented process: everything, we feel, should be done in relation to our ambition, our competitiveness, our one-upmanship. That is what usually drives us to become greater professors, greater mechanics, greater carpenters, greater poets. Dharma—passionlessness—cuts through this small, goal-oriented vision, so that everything becomes purely a learning process. This permits us to relate with our lives fully and properly. So, taking refuge in the dharma as path, we develop the sense that it is worthwhile to walk on this earth. 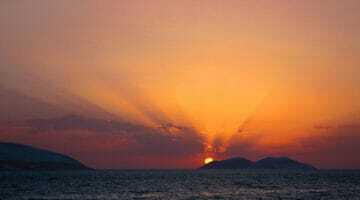 Nothing is regarded as just a waste of time; nothing is seen as a punishment or as a cause of resentment and complaint. This aspect of taking refuge is particularly applicable in America, where it is quite fashionable to blame everything on others and to feel that all kinds of elements in one’s relationships or surroundings are unhealthy or polluted. We react with resentment. But once we begin to do that, there is no way. The world becomes divided into two sections: sacred and profane, or that which is good and proper and that which is regarded as a bad job or a necessary evil. Taking refuge in the dharma, taking a passionless approach, means that all of life is regarded as a fertile situation and a learning situation, always. Whatever occurs—pain or pleasure, good or bad, justice or injustice—is part of the learning process. So there is nothing to blame; everything is the path, everything is dharma. Taking refuge in the dharma as path, we develop the sense that it is worthwhile to walk on this earth. Nothing is regarded as just a waste of time; nothing is seen as a punishment or as a cause of resentment and complaint. That passionless quality of dharma is an expression of nirvana—freedom, or openness. And once we have that approach, then any spiritual practice we might go through becomes a part of the learning situation, rather than merely ritualistic or spiritual, or a matter of religious obligation. The whole process becomes integral and natural. This approach involves a quality of directness and absence of deception—or we might even say absence of politeness. It means that we actually face the facts of life directly, personally. We do not have to come up with any padding of politeness or ordinary cheapness, but we actually experience life. And it is very ordinary life: pain is pain and pleasure is pleasure. We don’t have to use another word or innuendo. Pain and pleasure and confusion—everything takes place very nakedly. We are simply ordinary. With our friends, with our relatives, in everything that goes on, we can afford to be very simple and direct and personal. Having taken refuge in the Buddha as an example and the dharma as path, then we take refuge in the sangha as companionship. That means that we have a lot of friends, fellow refugees, who are also confused, and who are working with the same guidelines as we are. Everybody is simultaneously struggling with their own discipline. As the members of the sangha experience a sense of dignity, and their sense of taking refuge in the Buddha, dharma, and sangha begins to evolve, they are able to act as a reminder and to provide feedback for each other. Your friends in the sangha provide a continual reference point which creates a continual learning process. They act as mirror reflections to remind you or warn you in living situations. That is the kind of companionship that is meant by sangha. We are all in the same boat; we share a sense of trust and a sense of larger-scale, organic friendship. So taking refuge in the sangha means being willing to work with your fellow students—your brothers and sisters in the dharma—while being independent at the same time. Nobody imposes his or her heavy notions on the rest of the sangha. Instead, each member of the sangha is an individual who is on the path in a different way from all the others. It is because of that that you get constant feedback of all kinds: negative and positive, encouraging and discouraging. These very rich resources become available to you when you take refuge in the sangha, the fellowship of students. The sangha is the community of people who have the perfect right to cut through your trips and feed you with their wisdom, as well as the perfect right to demonstrate their own neurosis and be seen through by you. The companionship within the sangha is a kind of clean friendship—without expectation, without demand, but at the same time, fulfilling. So we no longer regard ourselves as lone wolves who have such a good thing going on the side that we don’t have to relate with anybody at all. At the same time we must not simply go along with the crowd. Either extreme is too secure. The idea is one of constantly opening, giving up completely. There is a lot of need for giving up. The discipline of taking refuge in the buddha, the dharma, and the sangha is something more than a doctrinal or ritual thing: you are being physically infected with commitment to the buddhadharma; Buddhism is transmitted into your system. 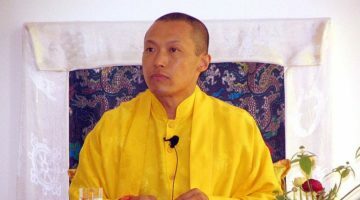 At that particular point, the energy, the power, and the blessing of basic sanity that has existed in the lineage for twenty-five hundred years, in an unbroken tradition and discipline from the time of Buddha, enters your system, and you finally become a full-fledged follower of buddhadharma. You are a living future buddha at that point. This article is adapted from The Heart of the Buddha, published by Shambhala Publications. ©1991 by Diana J. Mukpo.